Enjoy the Spier wine farm at its best by zipping around on a Segway. 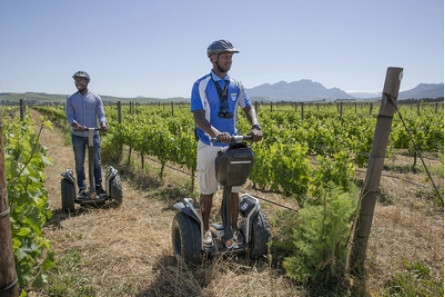 The guided Segway tour will introduce you to the vineyards and natural farming practices as you glide along the River Garden and breeze past the yin-yang water recycling and re-energising plant. 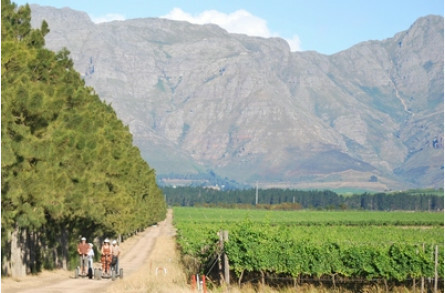 Select your booking from morning, midday or sunset Segway tours on the Spier Estate, and top it off with a delectable picnic on the lush lawns under a shady tree. Choose from a range of options, including gluten free, vegetarian, relaxed, gourmet or children's picnic menu. Enjoy delectable home-baked treats, fresh salads, homemade pâtés and chutneys, pasture-reared cold cuts, and farmhouse cheeses, all wrapped in compostable, 100% biodegradable packaging. 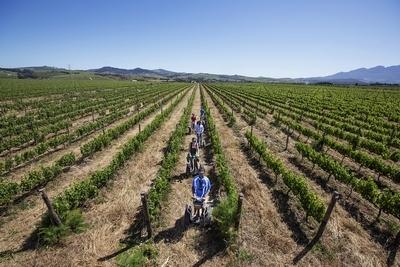 The Spier Estate goes to great lengths to source organic, natural and local produce for their picnic ingredients, ensuring your optimal enjoyment of another perfect day in the Cape winelands. 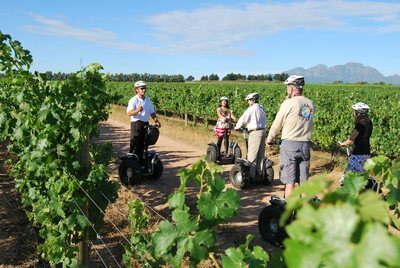 Book your Segway Vineyard Glide & Picnic for Two today for a romantic, laid-back adventure with your loved one. 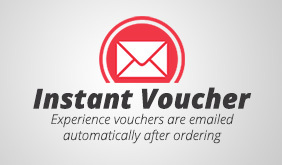 This package is for ages 12 and over. 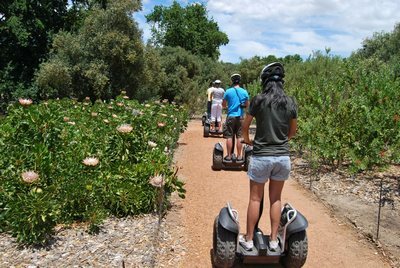 There is a weight limit of 90 kgs per Segway. Helmet and safety brief included. Allow one hour for the Segway experience. Picnic time at your leisure. 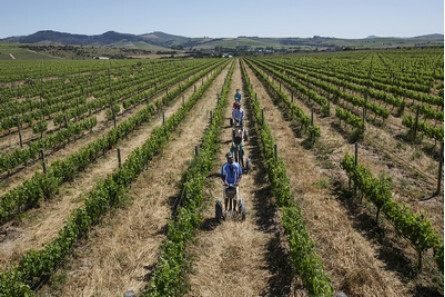 Available throughout the year, book early to avoid disappointment.